One of the greatest moments in the Eagle Scout process is the Court of Honor. This is the event that celebrates your success with those who helped you and the rest of the community. We’d like to share some advice that may help make your special event even a little more special. Please use this as a guide to help the community celebrate. Send a press release to the local media. Take a picture RIGHT NOW with your family, and post to your social media outlets. Tag your Scouting Community and The Spirit of Adventure Facebook site. The National Eagle Association offers several academic and merit scholarships. Be sure to bookmark NESA.org, read about the offerings, and set a reminder for yourself to apply. There is a fairly tight window of opportunity to do this and all submissions must be completed online by October 31 of each year. 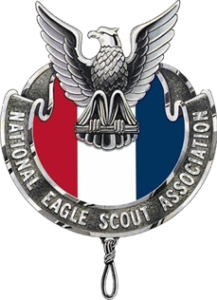 As a bonus, each Eagle Scout who applies for a national NESA scholarship is automatically entered for consideration for our Spirit of Adventure NESA scholarship. There is also the Glenn A. and Melinda W. Adams Award. This is a service project of the year award. Each council selects one recipient and our selection is further considered at the regional and national levels, which have cash awards attached to them. The form for this award can also be found on NESA.org. 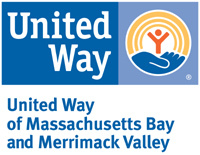 Send the completed form, along with a copy of your Eagle project workbook by next January 21, to the Spirit Adventure Council at the Woburn address. Finally, Scouts will receive an invitation in the future to attend our annual Eagle Scout recognition dinner.